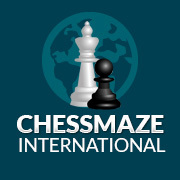 Parents, organisers and players who use the Junior Rapidplay Ratings Site will find a few small changes to this site. In fact although the site has the same ‘feel’ to it, everything has been rewritten, with the ratings program and website being completely revamped with various improvements. The birth years are now all visible, where some of our younger players were out of range of the old version, and within any year group or school year group it is now possible with a single click on the heading at the top of a column to arrange players in order, which selectors and teachers should find useful for selecting and ordering teams. It should also shortly be possible to access the archive section, though this will probably only contain details of results from Sept 2018 onwards. There are a few teething problems we are still working to iron out, but the new version is now in use with the same address: www.wcurapidplayratings.co.uk so there should be no reason to change the way you access the site. The person responsible for this re-vamp is Matthew Lunnon of Pentyrch chess club, and we should all be most grateful for the work he has put in to update and improve the previous version of the site, which was slowly becoming inappropriate. Also for the help Matthew has given in getting the new site up and running, with only minimal changes to the way the data is input, making for an easy changeover.